On April 12th, 1961 Yuri Gagarin launched into space on a Vostok rocket from the Baikonur Cosmodrome, becoming the first person ever to leave the planet. Here’s the crazy thing: today’s astronauts travel to space on a nearly identical rocket, the Soyuz, which went into operation only five years after Gagarin’s historic flight. Why? While we’ve seen innovations in rockets over the last half-century, the underlying physics of how we get people and things into space has not changed. Chemical propulsion technology is still at the heart of all rockets. It’s what makes rocket science, rocket science. Getting to space is hard. Just 2% of a rocket is the thing we want in space, the other 98% is the “rocket-stuff” that accelerates the payload and gets it out of Earth’s powerful gravity well. For a long time, the paradigm of launching big expensive rockets worked well enough because very few things actually needed to get launched into space, and the things that we launched were big and expensive themselves. So the space industry could afford the long lead cycles and absorb the high barriers to entry. But all that has begun to change over the past several years as new satellite capabilities have emerged and new players have entered the space arena. The industry now has startup companies in Silicon Valley launching more satellites to space than traditional satellite markets. For the history of space exploration, we have been trying to make rockets bigger, better, faster, cheaper, and reusable to beat the supply chain problem. There is another way to approach this problem, however. What if we didn’t need to launch anything at all? Manufacturing satellites is a huge business. Annually, it’s a $15 billion market. Currently, the only option for getting these expensive, complex systems into orbit is to launch them on a rocket. Made In Space, Inc. is approaching this market in a different way that doesn’t involve the traditional hurdles of the current supply chain to space. Over the past six years, the team has been putting together the technological building blocks to make manufacturing of satellites in space possible. 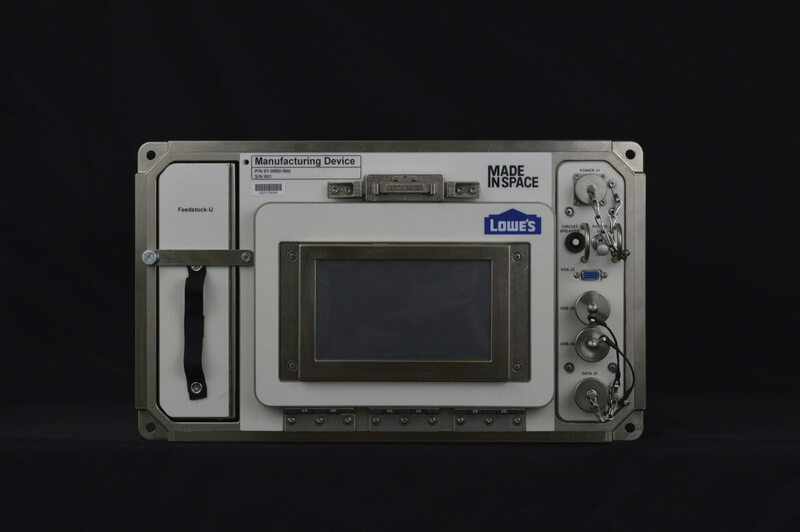 Made in Space’s Additive Manufacturing Facility (AMF), currently on the ISS. Today, Made In Space is taking the first steps towards manufacturing satellites in space by using the company’s 3D printer on the International Space Station to make small customized satellites (called CubeSats) on-demand. Through a program called “Stash and Deploy” a stockpile of satellite components that cannot yet be 3D printed will be stored on the ISS. As a satellite is needed, specific components will be assembled with 3D printed structural components. The end product? 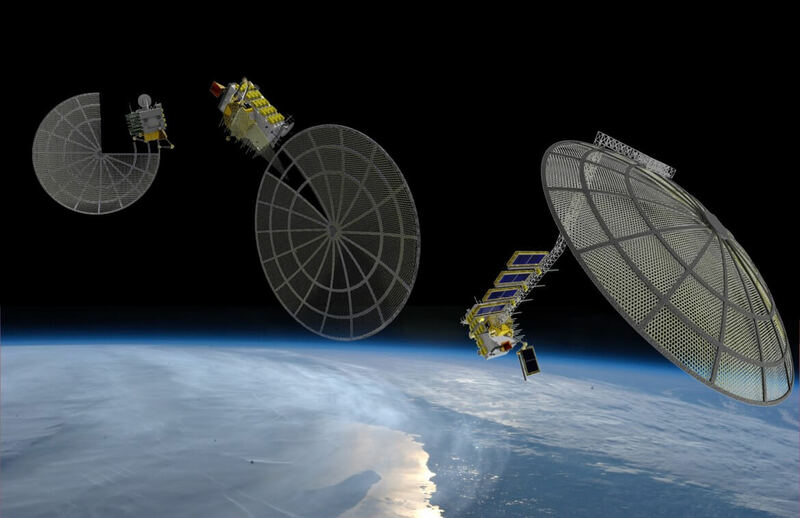 A custom on-demand satellite assembled in space and deployed into orbit. A future stage of stash and deploy will be the robotic manufacturing and assembly of entire satellite systems in space. Recently, NASA funded Made In Space’s Archinaut Program which will begin the development of a set of capabilities to enable large-scale spacecraft, satellites, and space assets to be manufactured in space. Making satellites in space unlocks fundamentally new design possibilities. Today’s satellites are designed for launch, but when they are manufactured in space, we will be able to let the conditions of space alone drive the design of our satellites. What Could We Do If We Didn’t Need to Launch? Archinaut concept design: building large scale satellites in space. Imagine for a moment a large space structure, like an antenna, that will never see any environment other than the microgravity of space—it could be incredibly sparse and wispy. 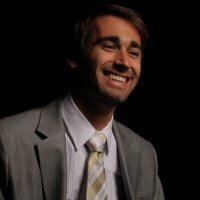 Now, imagine a satellite that never had to be constrained within the cylindrical diameter of a rocket body or survive the loads of launch—it could be perfectly optimized for its mission, maybe being as thin as a sheet of paper to absorb and radiate solar radiation more evenly. Satellites and space structures like these have never existed because they couldn’t be launched. More importantly, today’s space assets can be drastically improved when the satellite is manufactured in space. Remote sensing satellites can be made over a hundred meters long to enable synthetic aperture radar that collects new information on our changing planet. Satellites depending on reliable communications, such as GPS and telecommunications, can be made more capable with larger, more customized antennas. A large space-based phased array antenna platform can address new communication markets, such as connecting the world to global broadband from space. Just as we will build large antennas for satellite communications, we can also build very large space telescopes for observing the universe. Radio telescopes with apertures larger than the Arecibo Observatory in Puerto Rico could be positioned in space for more optimal observations. In addition, satellites will one day be made far larger than today’s satellites. There will be unique applications for satellites that are miles in length. The traditional term for such objects is megastructures—but none have existed in space yet. That said, space is the optimal place for megastructures. It’s easy to support the weight of a mile long satellite when it is weightless! Much of a satellite’s mass goes to its structure, allowing it to be built and tested on Earth and launched on a rocket. Soon, when we only have to launch the raw materials to build satellites in space, that mass will go much further because the structural components of the final satellite will never need to experience gravity or the large force loads of rocket launch. And one day, we may start using the resources of space for construction and thus removing the need to launch anything from Earth at all. Space is a wonderful place for industrial activity for other reasons too. Unfiltered solar energy can drive even the most power hungry manufacturing methods. Weightlessness allows huge objects to be manipulated with the bump of an actuator. We even have unlimited, clean vacuum for manufacturing without oxidation or corrosion. And beyond specific applications, the whole process can be more efficient—3D printing the satellite components themselves in space enables a faster, more responsive ability to deploy a new satellite. We may not always recognize it, but satellites provide value to us everyday. Our “birds” in the sky do everything from remote sensing of weather patterns and crop yields, to GPS and telecommunications connecting the people of the world. Satellite-based telescopes, like Hubble and Kepler, are even helping us understand some of the age-old questions of the universe. In every one of the examples described above, the satellite and the satellite systems that are manufactured in space are far more optimized for their operating environment than any satellite currently in space today. We have come a long way since Gagarin’s first spaceflight thanks to our daring efforts to reach further and further into the cosmos. Looking back on human history, we recognize key moments of creation: The creation of fire, the first tools, industrial processes, the internet. We have now entered a moment in our shared timeline in which humanity can create things not just on Earth, but off Earth as well. Making satellites in space will change the way all satellites are operated in the future. But if we are truly successful, satellites will be just the first in a long line of new products and industry made in space. Interested in learning more about the future of manufacturing? Join Jason Dunn and other leading manufacturing experts at Singularity University’s Exponential Manufacturing Conference summit.